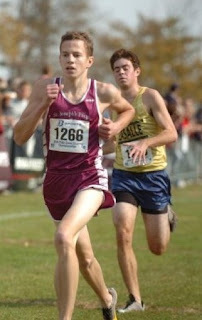 Two-time Pennsylvania state cross country medalist and 2009 all-state harrier Chris O'Sullivan will join his father's squad in the fall. Not surprisingly, given the DNA involved, Chris is a top miler in Philadelphia and currently leads the Philadelphia Catholic League (PCL) list at that distance. He finished 2nd in the mile at the PCL championship meet as a junior. Running for St. Joseph's Prep, Chris had a great 2009 cross country season, finishing second at the prestigious Paul Short meet, covering the 5 kilometer course in 15:41. At the PCL cross championship, Chris trailed only Tom Kehl in finishing second. Only in the last two years have the Philadelphia Catholic League schools competed at the PIAA state championship XC meet, and Chris acquitted himself nicely, finishing 24th as a junior and 18th as a senior. Chris has PRs of 15:41.00 (5000 meters), 9:57.66 (3200 meters), 4:23.13 (mile), 4:16.27 (1600 meters), 4:08.28 (1500 meters) and 2:06.19 (800 meters). 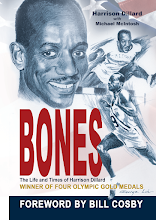 In the 2009 outdoor season, he finished 9th at the Pennsylvania state championships in the 1500 meters.